Despite all of the strategies we have for enrolling and retaining underserved students, there’s still one group that’s typically left out of the conversation: Rural students. This could be because students who grow up in rural environments are significantly less likely to enroll in an institution of higher learning than their suburban or urban counterparts. Recent research has found enrollment to be as low as 29%, compared with 47% of their urban peers. (The overall US average is 40%). Not only are there fewer rural students on our campuses, but they are also less likely to stay once they get there. Only 83% of rural students return for their second year, compared to 84% of urban students and 88% of suburban students. However, admissions trends are changing. More and more rural students are arriving at our institutions as colleges dial up the outreach in an effort to raise the aspirations of rural high schoolers. The real question for student affairs professionals, then, is once rural students arrive on our campus, what can we do to support them? After all, getting them to enroll is only the beginning of the relay race; after that, the baton gets passed on to us to ensure their persistence and success. The answer to that question is neither easy nor straightforward. Each institution will need to create its own playbook based on the unique context in which it resides. The experience of rural students entering college is, in a lot of ways, similar to first-generation students. Not surprisingly, this is because most rural students will also be first-gen students themselves. If you’re not familiar with the first-gen experience, we recommend reading some of our previous posts about getting into the first-gen mindset and how you can better support first-gen students. First-gen students from suburban and urban areas do have one advantage, though: They may have had more opportunities to meet people who have graduated college — whether members of their extended family, family friends, or people they meet in their daily life. These contacts help them to imagine their life after graduating from college and normalize the process of going to college. Their rural counterparts, on the other hand, may have never met anyone who graduated from college, aside from their teachers. But there’s more to it than that. When rural students arrive on urban campuses, they are met with a unique set of hurdles. By opening a conversation on some of these issues, we can hopefully begin to turn the tide on low enrollment, persistence, and graduation rates. Rural students often get stereotyped by individuals who come from suburban and urban backgrounds. This may be born out of curiosity, rather than ill intentions, but it can still be quite an alienating experience. Constantly answering questions about your upbringing or having to bust myths about rural stereotypes only exacerbates feelings of being different or out of place. It’s important to consider whether an assumption about someone’s upbringing is othering them or implying that their upbringing is in some way inferior to your own. This doesn’t necessarily mean we need to create awareness days about growing up in rural areas, and we certainly can’t stop students from being curious about other people’s backgrounds. After all, being exposed to people from different walks of life is one of the benefits of going to college. But, if a rural student is already struggling with feeling like an outcast, negative interactions could tip the balance in terms of their decision to come back for a second year or drop out all together. As student affairs professionals, we’re often guilty of holding these stereotypes or unknowingly alienating different types of students. Remember, it’s not only our responsibility to help foster positive student-to-student interactions, but also to check our own unconscious bias in everything we do. Interestingly, rural students graduate high school at higher rates than urban students. The National Center for Education Statistics reports that 80% of rural high schoolers graduate high school, compared to 68% of their urban peers. Despite this, they tend to “under-match” when picking a college or university. Most rural students choose an institution that’s closer to home, even if that means attending a less competitive one than they could potentially be accepted into. This may be due in part to a lack of knowledge about institutions and their enrollment processes, but there is a good chance it’s also because rural students believe they’re not “good enough” to attend certain institutions. As student affairs professionals, we recognize that imposter syndrome can happen to anyone, any time. It’s vital for us to equip rural students with skills to recognize imposter syndrome and encourage them not to downplay it but to own it. We can help them see how far they’ve come, reflect on the skills that got them to where they are, and provide support networks when things get tough. When your high school graduating class is as small as 27 students, joining a college of hundreds or thousands can feel like you’re being dropped into the deep end. Growing up with small class sizes means you’re used to having strong relationships with your teachers and an easier time getting help when you need it. But what about when you’re one of 300 students in a class? You might wonder whether your lecturer would even recognize you, let alone remember your name. This is something no one ever wants to hear from their professor. Culture shock doesn’t stop with the institution itself, though. Navigating a city of any size can be an overwhelming experience. The town where some rural students grew up might not have a stop light, let alone a bustling city transportation system. It would be a good idea to make exploring the city part of your orientation programming. We need to challenge our assumptions that these students will know when and where to go when they need help. One solution would be to identify rural and first-gen students from the point of enrollment or orientation. From there, we can provide specific materials to help them navigate their first year or direct them to additional support should they need it. We can also utilize the data gathered from engagement software to find which touch-points students might be missing and create intervention strategies to reach out. Many students will come from areas of the country where most people don’t understand the value of higher education. Or at the very least, it will be something that “other” people do, not people like them. There might be an expectation that young people from areas like theirs will just follow in the footsteps of their parents into agriculture, manufacturing, retail, or health care. It’s likely that students entering higher education from this environment will feel like they’re crossing a proverbial line in the sand — that they are somehow betraying the values of their community or family. As they enter college, they are making a choice to leave behind the path that was set out for them and adopt what might be considered the “dominant culture” by those back home. On one hand, rural students may feel disconnected from their hometown identity and worry that people from back home wouldn’t recognize them in the same way. On the other hand, they may also not identify with, or feel like they truly belong with, the cosmopolitan identity of their classmates. This can be an incredibly frustrating predicament. Sociologists have researched this phenomenon in first-generation students and linked it with the theoretical concept of habitus dislocation — that is, a conflict that occurs when your internalized world view does not match the expected rules of the game of the location you’re in. One of the most successful initiatives for the retention of rural students has been mentorship programs. Finding rural upper-year students on your campus who can be matched with incoming students has a profound effect on enrollment and persistence. For one, the incoming rural student has someone they can relate to who has proven that it’s entirely possible to succeed in college. It also means that they have someone whom they already know before they arrive on campus. An example of this comes from the Kentucky Valley Educational Cooperative, which connects rural students with each other by bringing them to rural areas to judge entrepreneurial competitions. The relationships the students build can then transfer to online communities and, eventually, to college campuses. 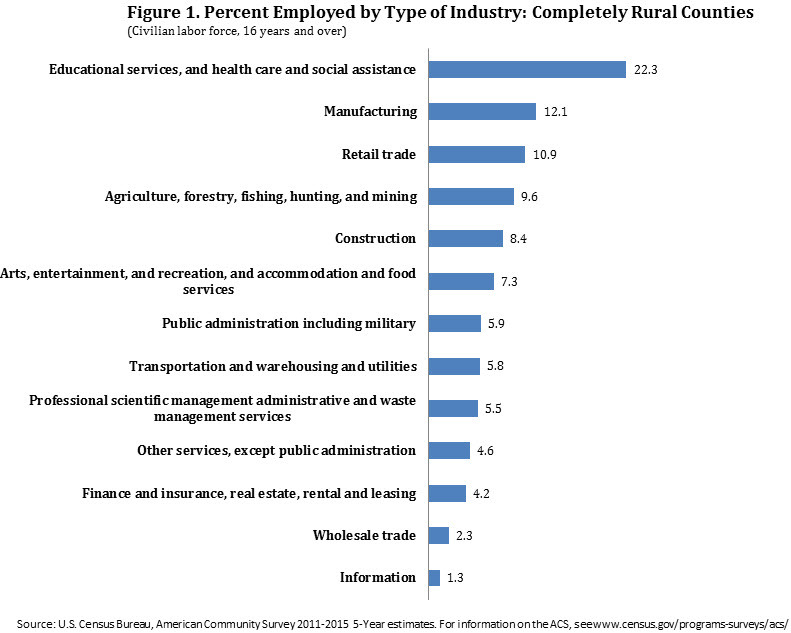 Job opportunities in rural areas are declining and unemployment rates are rising compared with urban areas. Rural students may have no experience creating a resume, nor searching and applying for jobs. They likely won’t have had access to any of the social and cultural capital that their classmates who grew up around a city had. Creating opportunities for rural students is critical if we hope to develop their essential post-graduation skills. Jobs on campus are great for fostering those skills, as well as providing an income and giving students a reason to spend time on campus. The more connected students feel to their institution, the more likely they are to be familiar with the services it offers and take advantage of them. Source: Dundes, L., & Marx, J. (2006). Balancing work and academics in college: Why do students working 10 to 19 hours per week excel? Journal of College Student Retention: Research, Theory and Practice. If there aren’t many jobs available on campus, consider creating internship opportunities instead. Sometimes referred to as brain drain, rural students who move away for college often stay in the city after they graduate. So, what can we be doing to make sure we set these students up for success after graduation? We know that employers look for students who understand how to present their essential skills when applying for jobs. In today’s job market, relying on a major alone isn’t enough to stay competitive. Rural students are particularly at risk for being left behind as they may not have examples of how a post-college career search works, nor do they have anyone to tell them that just getting a diploma isn’t a guarantee of a job. Creating clear co-curricular pathways is a perfect way to put these students on track for success. Pathways can be split into the skills that employers are looking for, with clear tracks for gaining skills from co-curricular involvement. We wrote a complete guide to designing experiential learning, which you can download for free. When we segment students into groups, we should be careful not to paint everyone with the same brush. Just because some students come from a rural area doesn’t mean they all have had the same lived experiences. Some students could be from strong agricultural areas in the Midwest, some from coal mining Kentucky, and others from Native American reservations. In addition, they will also have intersectional identities that will affect their college experiences. Some may be parents, some may be veterans, some may identify as LGBTQ, and some may be people of color. It would be unrealistic to assume that our engagement strategies will resonate with every single rural student. Instead, we need to partner with other departments to create consistent approaches to retention, direct students to other services where necessary, and keep them at the center of process design. Moving from a rural setting to a college campus can feel less like a move up and more like a leap of faith. As student affairs professionals, we might not be able to make that jump any shorter, but we can certainly give them something to hold on to while they do it. Our hope is that by putting ourselves in the shoes of those students, we can better understand what factors are at play in their decision to continue with college, get involved, and ultimately graduate ready for the workforce. Let us know what strategies you have for engaging rural students by tweeting us @HelloPresence.